This event is so big, it tends to attract major corporate sponsors on levels similar to a NASCAR race or football game. 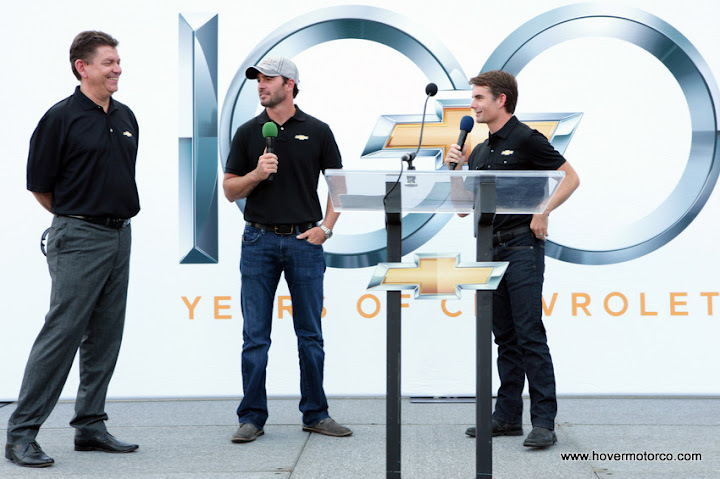 Chevrolet was the title sponsor for the 2011 edition, as they were using it to punctuate their 100th anniversary celebration. Chevy did it up big this year. In addition to bringing out several vehicles from the fantastic GM Heritage Center, 50 new Volt owners lined the street for the formal part of the parade. They even brought out a new Camaro ZL1. 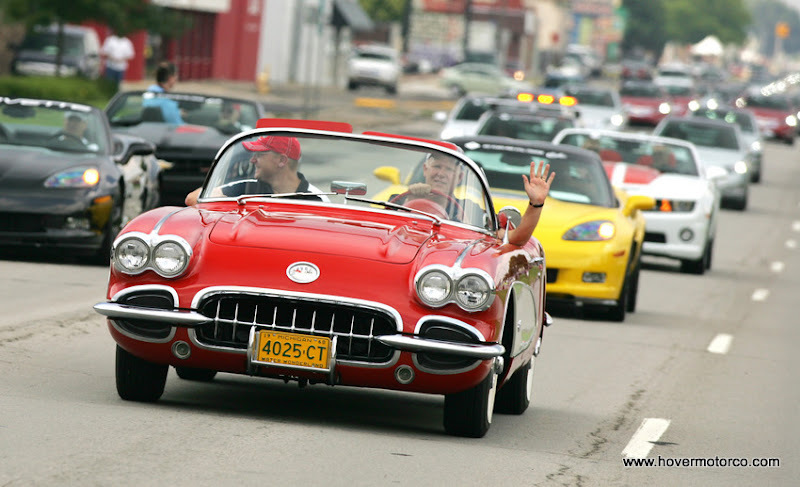 General Motors Chairman and CEO Dan Akerson led the parade from behind the wheel of a red and white ’60 Corvette. Chevrolet also brought in several celebrities, including NASCAR drivers Jeff Gordon and Jimmie Johnson, as well as famous television chef Guy Fieri with his own Rally Yellow 2011 Camaro SS. Proceeds from a Steve Miller Band concert earlier in the month also went to the preparation of the cruise. Several national car clubs piggybacked off of this event, including the Impala SS Club of America, who moved their annual event to the Motor City to coincide with the cruise. 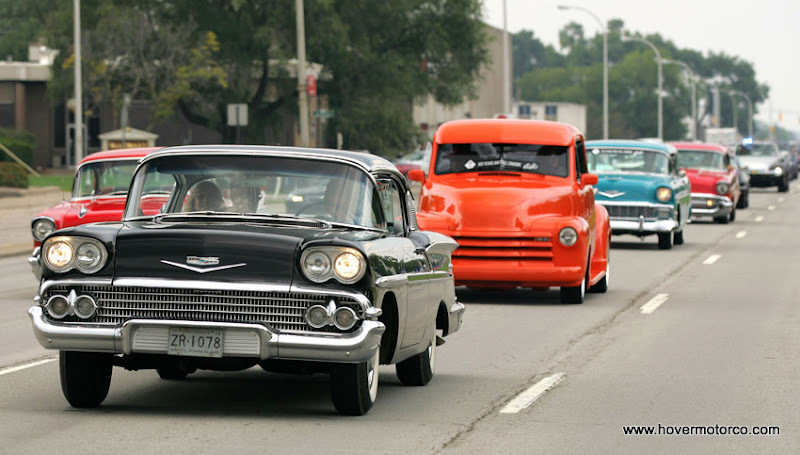 When you think of events that significantly impact a local economy, a car cruise probably isn’t at the top of the list. For example, the cruise coming up this Sunday at the Gladstone Hy-Vee probably isn’t going to make much of a difference to Hy-Vee’s bottom line one way or another. But the Woodward Dream Cruise is a different animal altogether. This is the largest single day car event in the world, and brings in an estimated $56-million to the fragile Detroit economy. The cruise itself officially took place on Saturday, August 20. But there were several shows, parades, and events leading up to the main cruise throughout the week. Even the NASCAR Sprint Cup race was held on Sunday in nearby Brooklyn, Mich., where a very un-Detroit like Kyle Busch won in a Toyota. Oh, well—can’t have everything, I suppose. 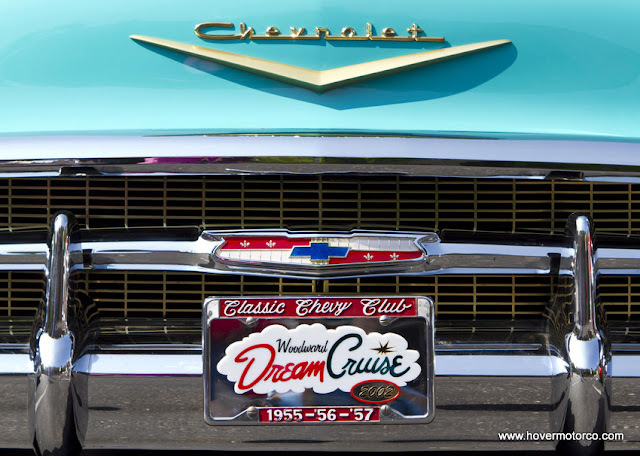 Sadly, I wasn’t able to attend this year’s Woodward Dream Cruise, although I definitely would like to someday. I make it to Detroit several times a year, but for some reason, no one ever schedules a business meeting during the big show. 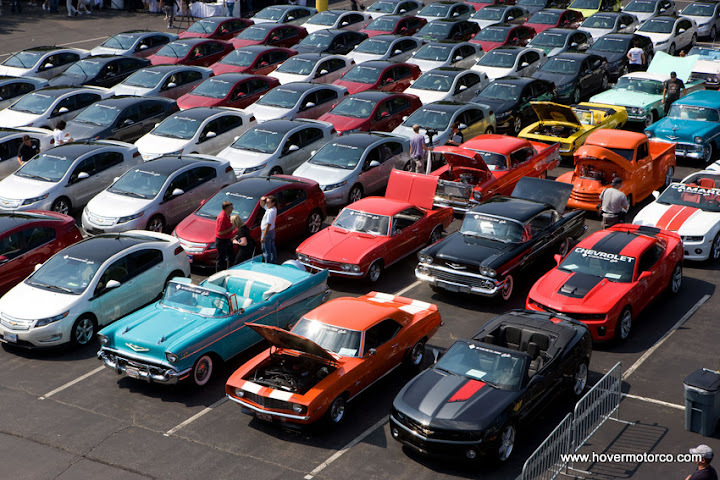 Lord knows I hit a lot of car shows; it would be nice to see one of this magnitude. Just imagine how big the slideshow would be if I was taking the pictures. I’d probably have to upgrade my Picasa account again. Maybe next year if I can't make it, I can get Kansas City's school superintendent to send in some pictures for me--looks like he'll be in town. 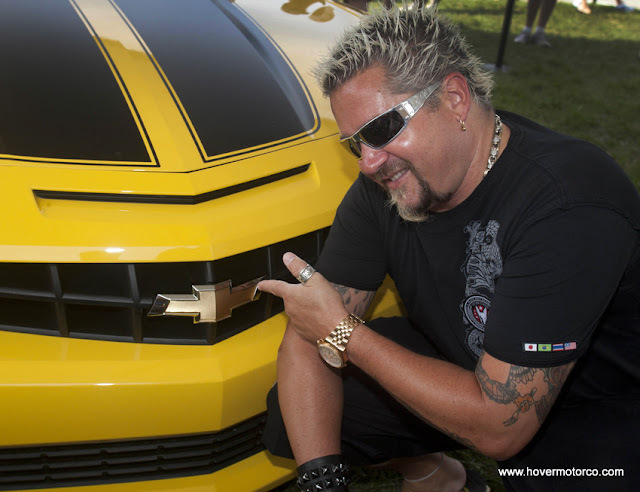 In the meantime, here are some nice pictures that other people took at this year’s Dream Cruise. Most of them are from Chevrolet’s media department, because they were really on it this year. I tried to get a few from Ford and Chrysler as well, although they weren’t nearly as prolific in their picture taking. At any rate, you can check them out below.